Just wanted to send a little Hello to all my peeps and anyone else who has stumbled upon this post. Greetings! Thankfully the weather is getting a little warmer over here and the sun is shining today, which is helping me emerge from what I’ll just call “winter hibernation”…baby’s first winter…that was ROUGH! Actually I dont think the cold is over yet, but I’m taking this nice sunny day as an excuse to hit the beach and visit papa Poseidon! 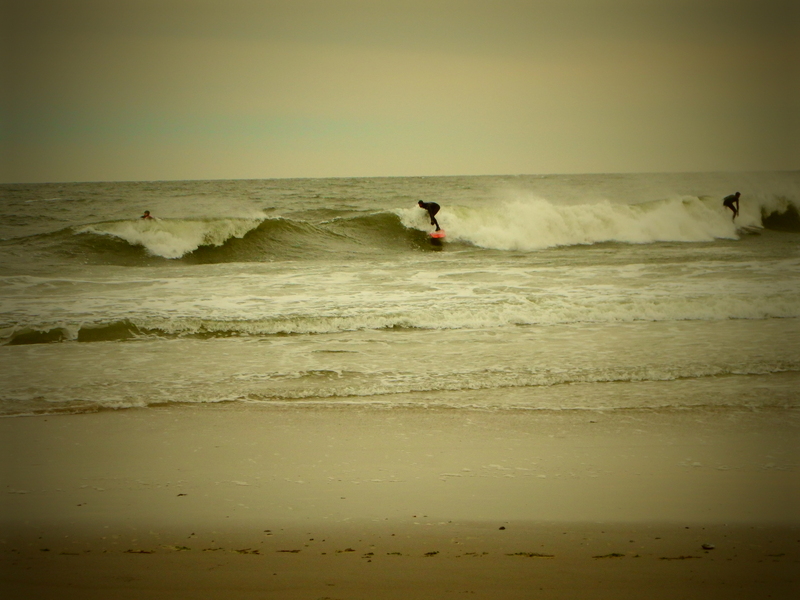 Last time I came here (Rockaway Beach) it was a few months ago and it was MUCH colder. I put my toes in and immediately regretted it. Today, we will see. I am still learning that even though the sun is shining, it does NOT mean that it is warm outside. Sunshine is not an indicator of warmth. Oh how I have been spoiled by sunny Santa Cruz! 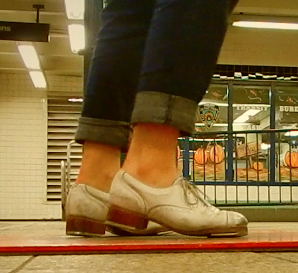 I spent the last week waking up early to tap dance in the subway with my ballerina-roommate friend before work. It has been quite successful! But I am not quitting my day job (yet), promise! Living with a rag-tag group of girls from Korea, India, Senegal, Italy (and me), I have never been so thankful for my American Citizenship, not matter how (insert own word or phrase) our government is. While I am collecting “Chump Change for Chimps,” she is collecting money so she can buy a ticket back to Italy and get the heck out of NY before her visa expires…it is very hard to live and work legally in the US if you aren’t a citizen, I am finding throught the grape vine, and I am feeling lucky that I can live and work where I want to with relative ease. Here is a photo of us doing our thing. Its a work in progress, but even in our early stages we have gotten warm responses from people. Its nice to see smirks and smiles replacing blank and sullen stares in the dingy subway platforms. The classical music helps too, I think. Anyway, it is a nice way to start the day and improves my attitude while sit there and make eyes with the computer screen at work for the rest of the day. Awlright, thats it for now. Time to check out the sand and sea. I hope you all have a very nice Sunday and enjoy some sunshine and fresh air if you get the chance.